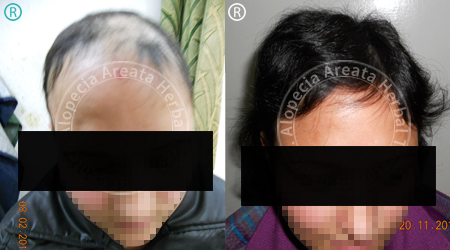 Ayurvedic Treatment of Alopecia Ayurveda believes that hair fall control is very much associated to the body type and also the stability of your mind-body structure. 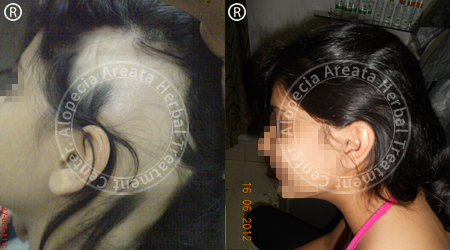 This treatments involves Swaras (Fresh plant sap),Cream and oil base application. 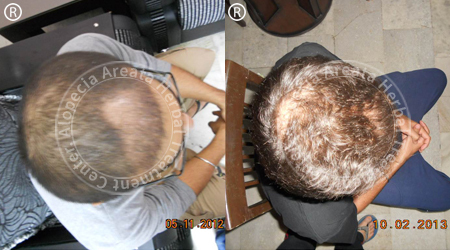 Hair loss needs internal treatment. 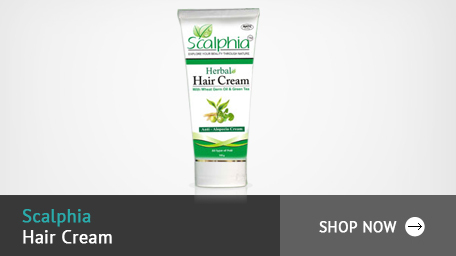 Research proven herbal treatment offers excellent solutions for all forms of Hair loss. Our team is working on a range of chronic disease including hair loss. 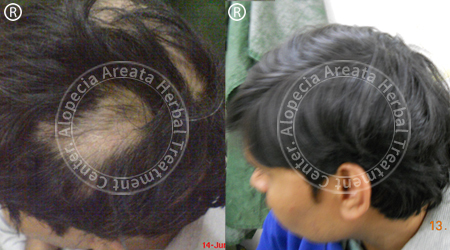 Our research based on maiden herbs by which hair loss, either patchy or diffuse can be controlled with great effect. Our individualized treatment is based on the study of patients patches, extent, cause, genetic pattern, emotional sphere, hormonal imbalance, and other factors which lead and maintain the disease.As hair fall is considered a problem of pitta dosha , you need to identify the bad eating habits that are contributing to the increase of pitta in your body. Pitta is increased by excessive intake of tea, coffee, alcohol, meats and excessive smoking. Pitta is also aggravated by eating too much fried, oily, greasy, spicy, sour, and acidic foods. 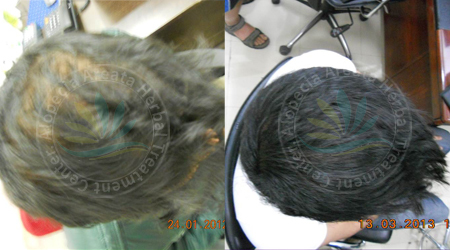 More and More people are turning towards Ayurveda for their hair loss problem. Hair loss can be embarrassing and hamper one's self esteem and confidence. 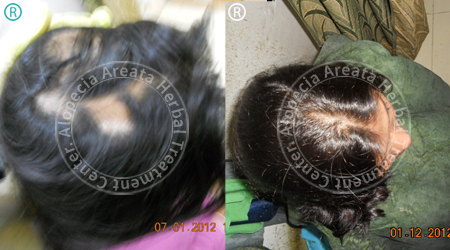 When treated early hair loss can be reduced and even stopped completely. Ayurveda believes that hair fall control is very much associated to the body type and also the stability of your mind-body structure. This treatments involves Swaras (Fresh plant sap), Cream and oil base application. 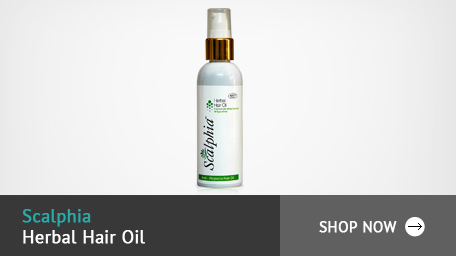 Hair loss needs internal treatment. 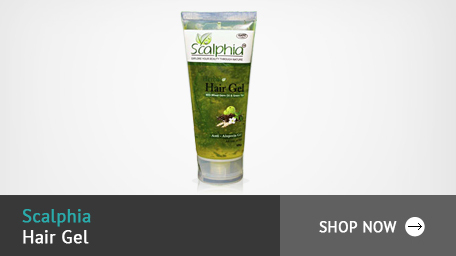 Research proven herbal treatment offers excellent solutions for all forms of Hair loss. Our team is working on a range of chronic disease including hair loss. 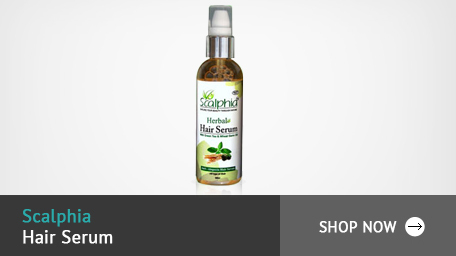 Our research based on maiden herbs by which hair loss, either patchy or diffuse can be controlled with great effect. Our individualized treatment is based on the study of patients patches, extent, cause, genetic pattern, emotional sphere, hormonal imbalance, and other factors which lead and maintain the disease. As hair fall is considered a problem of pitta dosha , you need to identify the bad eating habits that are contributing to the increase of pitta in your body. As nutritional deficiency is one of the most common causes of hair loss, the diet is very important. A nutritious diet helps healthy hair growth, since the hair is actually fed by the nutrients in the blood stream. You should include a small bowl of sprouts daily in your diet. Sprouts contain amino acids, which are very beneficial to the hair. Also include fresh fruits, raw salads, leafy green vegetables, whole grains and curd in the daily diet. If the scalp is oily, or if there is dandruff, drink plenty of water. Add the juice of a lemon to a glass of water and have it first thing in the morning. Ask your doctor to prescribe vitamin and mineral supplements. Try to reduce stress. Learn yoga and practice it daily. Learn relaxation techniques. 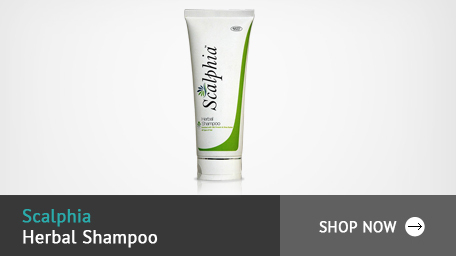 They help to reduce stress and thus control hair loss.